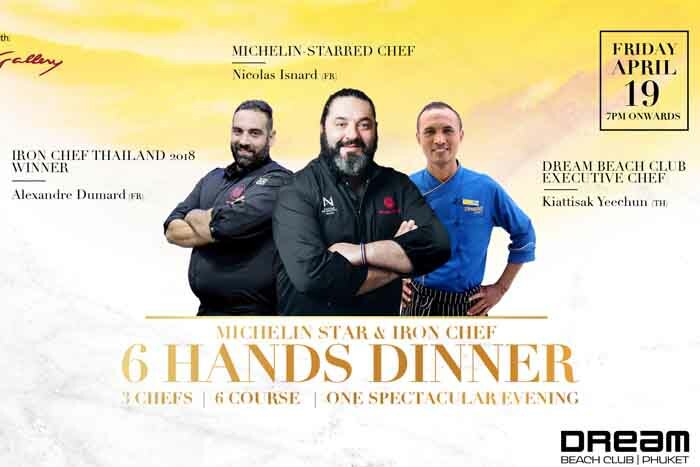 On Friday, April 19, 2019 Dream Beach will be hosting its first ever Michelin Star Fine Dining Experience. In keeping with the Dream culture of being overzealous in its desire to be put your senses into overdrive. Dream Beach is pairing not 2, but 3 fabulous Chefs to create an amazing 6 hands dinner collaboration. The star of the show no pun intended is “Michelin Started Chef “ Nicolas Isnard of France. 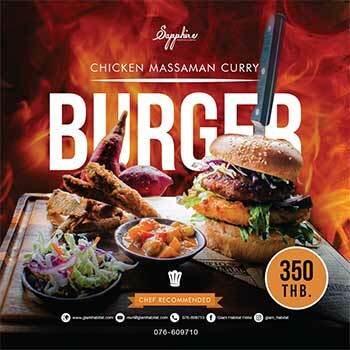 To keep the standard at its utmost highest he is joined by fellow French countryman Alexandre Dumard, Iron Chef Thailand (2018 winner). Rounding off the trio is the locally acclaimed Dream Beach Club Executive Chef Kiattisak Yeechun.